Back in ’94 our art teacher in school had an unusual idea. He would take his class of teenage boys and fashion them into a mini-movie studio. To inspire us he showed us a series of clips from various horror movies, pointing out how simplistic tricks could be used to shock audiences. This collage of films included John Carpenter’s The Thing, Dario Argento’s Suspiria, Francis Ford Coppola’s Dracula and finally the adaptation of Stephen King‘s ‘Salem’s Lot, by Tobe Hooper. Specifically this scene. I am pretty sure that afternoon, spent in a classroom with the blinds down, probably scarred me for life. 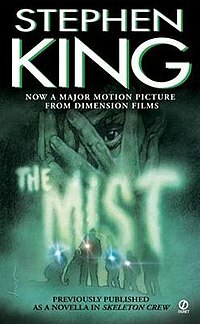 Last night I could not sleep, so I picked up my trusty Kindle, wandered into the kitchen, poured a glass of milk and finally got round to reading ‘Salem’s Lot. Well, that was critics for you. Plot was out, masturbation in. He returns to the town of Jerusalem’s Lot, a small village on the road to Portland that has not changed much since the briefs years he spent there as a child living with his aunt. Ever since he left he has been obsessed with the troubled history of the Marsten House. He hopes to acquire a lease to the long-abandoned building and exorcise his fears of what happened to him there as a child with a novel. Instead he discovers two European antique dealers, Mr. Straker and Mr. Barlow, have bought the building. Ben meets Susan Norton and the two of them quickly fall in love. She has dreams of living ‘Salem’s Lot for an artistic career in New York. He also makes a friend in high school English teacher Matt Burke, a quick mutual respect developing between the two men of letters. Ben, despite his troubled feelings over the Marsten House, begins to remember how much he enjoyed living in this quiet community. Shortly after his arrival, a boy named Ralphie Glick goes missing. His brother Danny reports that just before he vanished, Ralphie described what he thought was a ghost staring at him. Shortly afterwards his parents are sent into even greater distress when he drops dead in hospital. After the funeral Matt encounters gravedigger Mike Ryerson in the local bar, delirious and weak, with a strange story about having passed out while burying the Glick boy’s body. The night Ralphie disappeared, the two brothers had been travelling to Mark Petrie’s house, to see his collection of models and horror film memorabilia. 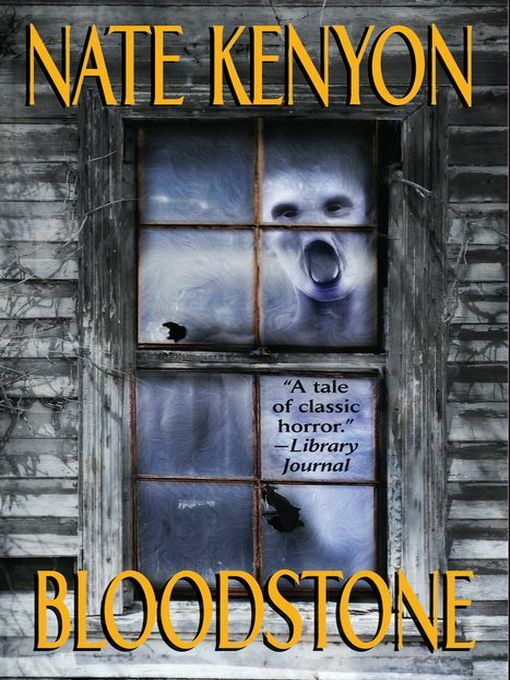 Even as Matt, Ben and a several other co-conspirators come to the conclusion that the strange events in town have been caused by an infestation of vampires – after hours of debate and argument – Mark has already identified the cause and set off alone to face the mysterious new residents of the Marsten House. If you have seen the tv miniseries, or read the book, maybe you have noticed what I have done above – place the emphasis on Mark instead of Ben, who is yet another self-insert character in King’s fiction. That is because firstly I am quite tired of this tendency of the author’s; secondly I cannot help imagining what this book would have been like if it focused exclusively on Mark. It could have been To Kill A Mockingbird, but with vampires! 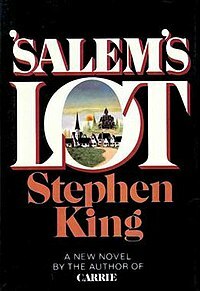 As it is there is a huge cast in this book, with many voices overlapping during passages, as well as our old friend ‘the omniscient narrator’, weighing in to let us know how the vampire infiltration of the town is proceeding. Of course this is all part and parcel of King’s project, which is to describe the damning of an entire community. The arrival of the vampires is in fact a judgement on the town of ‘Salem for their sins. There is barely a single sympathetic resident in the town. In fact for me the most horrific scene in the book does not feature monsters, but a mother punching her own baby. I find King to be heavy-handed, with a tin-ear for dialogue and yet – I sat and read this book throughout the entire day. That counts for something.